French family feud drama directed by Gilles Legrand. 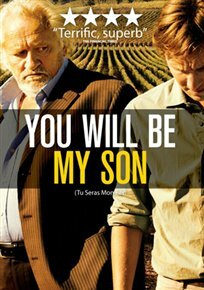 Paul de Marseul (Niels Arestrup) is the owner of a successful vineyard, but is unhappy about the prospect of his son, Martin (Lorànt Deutsch), taking over. Bitter towards Martin and belittling him at every opportunity, Marseul seeks another more suitable person to run his vineyard. When the foreman’s son, Phillipe (Nicolas Bridet), arrives it seems Marseul has found his heir, but the arrival of Phillipe only causes more feuds between Marseul and his biological son, resulting in some unexpected consequences.